Welcome to TransAxle of South Portland Maine. Our shop specializes in offering remanufactured drive train components to include transmissions, differentials, hydraulic pumps, motors from such reputable brands as Bendix, Dana, Eaton, Meritor, and more than 50 other OE product lines that are critical for day to day business operations. Ultimately and most importantly TransAxle is about service: That is, about getting the customer's vehicle back on the road. We have set ourselves apart with strong customer relationships based upon quality and performance since 1975. At TransAxle, we say that, "If it shifts, we are the experts." That expertise includes but is not limited to the service, repair and rebuilding of transmissions, clutches, differentials and axles of automatic, standard and high performance transmissions for automobiles; light, medium and heavy duty trucks; buses; motor homes; and off-road vehicles. TransAxle employs certified technicians at our South Portland transmission shop. ATRA is the trade association for the most respected, highly qualified transmission companies in North America. In addition, ATRA warranties the work done at TransAxle, a warranty honored at more than 2,000 locations in the United States and Canada. That our ATRA trained technicians can do their jobs so well is based upon the investment by TransAxle in diagnostic and test equipment. It is not possible to accurately determine the problems with today's computer controlled transmissions without these tools. We have them, know how to use them, and test transmissions before they come out of the vehicle and prior to re-installing the rebuilt units. This diagnostic and test equipment is supported by a proprietary data base of technical information. Our service facility includes bays for all sizes of vehicles from the smallest car to the largest truck or bus. We have the lifts and the other power assisted equipment so necessary to work on the larger vehicles in safety both to your vehicle and our personnel. When your vehicle needs include the service or repair of any power train component of any type of vehicle, call New England's Transmission. We will take care of the problem and afford you a variety of payment options when the work has been completed. Check engine light problem? 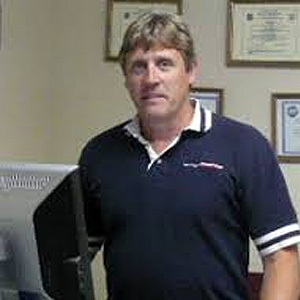 Bring your vehicle to TransAxle in South Portland and let an ASE-Certified automotive repair specialists perform a computerized diagnostic scan to get you safely back on the roads of Maine. TransAxle is always interested in hearing from qualified individuals seeking employment at our South Portland automotive repair shop. 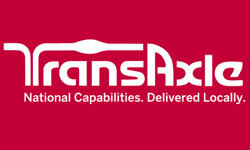 If you are interested in joining the TransAxle team we want to hear from you. TransAxle is proud of our troops and happy to be an official drop-off location in the South Portland area for the national non-profit known as Cell Phones for Soldiers. If you have an unwanted cell phone and wish to help we would welcome your participation! TransAxle understands how important it is to find a quality automotive repair shop in the South Portland area. This is why we value the associations we have with the reputable organizations listed below. These associations help our auto repair shop in South Portland to give you the confidence in knowing that your automotive repair and service needs will be met by our qualified automotive repair and service expert technicians. TransAxle is a member of APRA, the Automotive Parts Remanufacturers Association. Our shops' membership in APRA helps our team of automotive repair technicians stay connected to technicians in the industry as well as providing our team with a complete range of products, services, workshops, and education information about the automotive repair industry. We believe that memberships in organizations like APRA help TransAxle keep our customers safely driving the roads of the greater South Portland area. Certified Auto Repair isn't a shop name, a chain of stores or even a franchise. Certified Auto Repair embodies a standard of quality held by a nationwide network of the most respected auto repair facilities in the industry. Our members are asked to join based on reputation, integrity, qualifications and expertise. Certified Auto Repair members will not only take care of all your vehicle needs, but do it with professionalism and a level of customer satisfaction second to none.